VoIP phone systems offer businesses a way to connect with their customers like phone systems never have before. Not only are they more cost effective for business owners but the VoIP phone service includes features that help customer satisfaction ratings go through the roof. One of the features is where the system calls multiple lines unti l it finds an employee who answers. 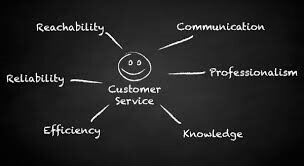 This enables the business to gain customer satisfaction through personal interaction. Plus customers respond well to having their calls answered in just a few rings and when they have very little of their time spent transferring them from department to department. In a different scenario the phone has another great feature. During a very important staff meeting where no one can answer the phone, there is a VoIP feature called voicemail to email that will transcribe the voicemail and email it to the employee. This helps eliminate lost post it notes and hastily-scribbled-barely-legible phone numbers. The email is automatically generated and waiting in the inbox for when the employee returns. Another great thing about VoIP is the sound quality. VoIP far surpasses the sound quality of a traditional phone line. There is less interference and greater clarity which helps your company sound more professional. Not sure what VoIP phone system is right for your office? Contact the professionals at Affordable Telephone. They will come out and talk to you about what it is you want from your business phone system and make a recommendation based on your needs. Don’t wait for your customer ratings to drop, call us today! Security and Connectivity! . . . Our Commitment Guaranteed! What is the best type of IP phone for your business?